Caroline from carolinesm ode.com was recently photographed wearing the Chloe Studded Booties in cream. 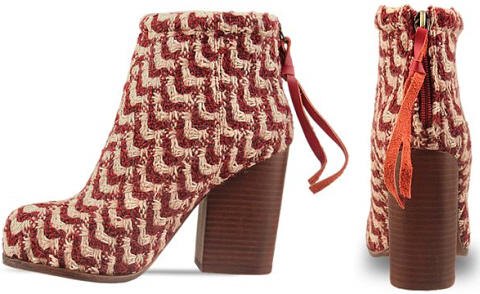 Definitely spring-worthy boots. Marvelous! I can never say no to a chic pair of studded booties, but these studded booties are well out of my price range, $1295. Sigh. Well, check this out! Nasty Gal has a fantastic pair, Starburst Stud Boot for much less at $185. A perfect complement to denim or dresses. If you want designer statement boots, look no further. These Alberta Ferretti ankle booties are adorned with an eye-catching piping pattern over a sheer mesh, satin upper… makes me weak in the knees. Work of art! And, are you ready… you can own the pair for only $195 $660 (the original retail price was over $1300!). 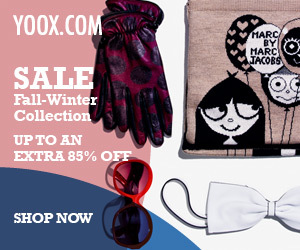 This is why I absolutely love to shop at yoox.com – to find amazing deals on the hottest designer goods! I’m one of their happy customers for sure. Comes in steel gray (shown above), black, and light pink. The latter two colors are going fast, so hurry! The steel gray is no doubt my fav out of the three colors. The Rumble boots got a fab makeover! 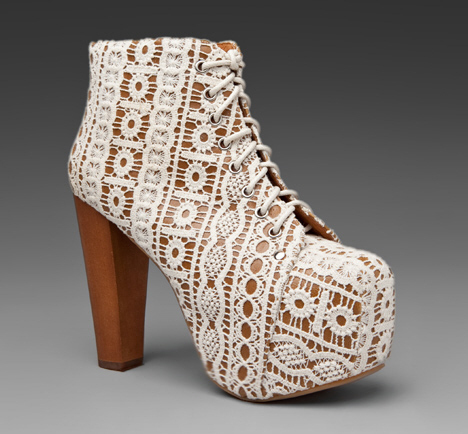 If these Jeffrey Campbell Rumble Fab boots don’t scream autumn then I don’t know what does. They are a cozy knit sweater for your feet indeed. Enjoy this fall season in style as you wear this pair with just about everything in your wardrobe, from sweaters & jeans to dresses & tights. Check out the Bolden boots for those who like a bolder look.